Sorry for the virtual disappearance (literally). Last month, I was offered my dream job in London and I had to frantically try to move my life over to the big smoke before the new year. I've just moved in to a beautiful flat and naturally, I cant wait to get decorating. On the grounds that all my attention has been focused on furnishings rather than fashion. 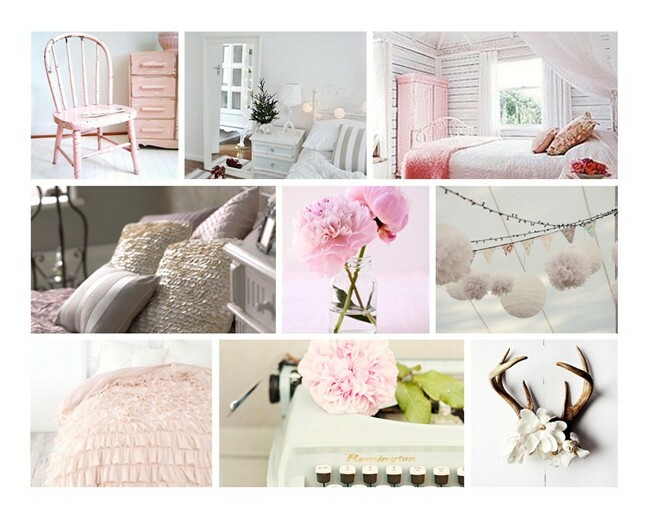 I thought share with you a few of my bedroom decor ideas in the form of a mood board. What are your thoughts? I'd really appreciate some feedback! Congrats on your dream job! I love the picture ideas you posted! I'm really into the whole antler thing right now. I like how the picture you posted has flowers between the antlers. I love this style! My whole room is white, white washed wooden furniture and the same floor. I accessorize with blue flowers mostly like bedding and picture frames! I really like the antlers, they are so unusual!